Famed hip-hop producer Mr. Green has worked with the likes of Snoop Dogg, A$AP Ferg, Freddie Gibbs, Talib Kweli, KRS-One, Bodega Bamz, and many more. For years, the New Jersey native has been releasing chapters in his Classic Beats instrumental series, which has included tracks later utilized by artists like Jedi Mind Tricks, Matisyahu, Travie McCoy, and members of The Roots. 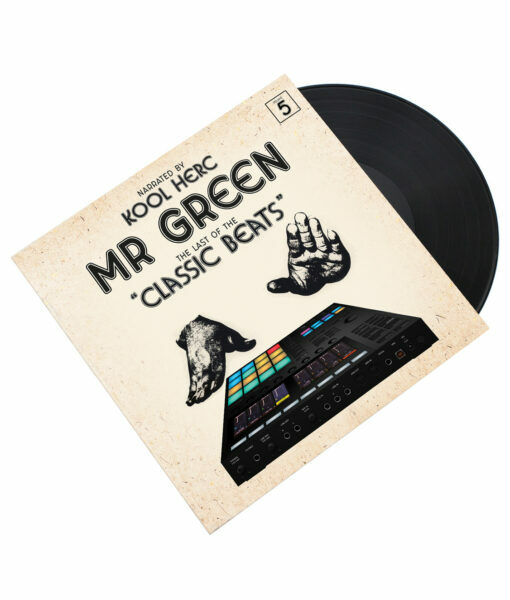 Now, a decade after the series began, Mr. Green is ending it in style with Last Of The Classic Beats, the fifth and final edition narrated by legendary hip-hop founder DJ Kool Herc. It’s the first album Herc has been involved with in several years, and a rare chance to hear directly from the “Father Of Hip-Hop” himself. Last Of The Classic Beats is not only a brand new instrumental album from Mr. Green, but also features a collection of the most popular drum breaks of all time, assembled by Product Of Tha 90s. Now available on vinyl, the project is perfect for MCs, DJs, producers, and all-around music lovers.